Tom Davis is a nationally known caller who has been calling for the past 40 years. Tom learned square dancing in 1976 and began calling in 1978. He belongs to the American Callers Association (ACA) and the past President of ACA. Tom also belongs to Callerlab and presently sits on the Advance and Mainstream Committees. He is BMI and ASCAP licensed to use recorded music. Tom is a local and regional traveling caller, calling dances and festivals through most of the Mid & Eastern United States. Tom also records and is a staff caller for the Silver Eagle label. He calls for beginners through C1 and enjoys teaching classes and doing "One Day" workshops/blasts. Tom has been the featured caller for many state conventions and festivals. Tom also is an "Accredited Caller Coach" with the ACA with the proper credentials to teach other callers the basics of square dance calling and the qualities of leadership needed to promote the activity. 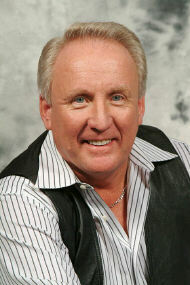 Tom has conducted numerous caller schools, seminars and workshops at state festivals and conventions. In 2007 after 53 years residing in the Louisville, KY area Tom sold his Restoration business and relocated to Chicago, IL working as a Large Loss Restoration Consultant. In 2010 Tom met Bernice Powell during a Square Dance weekend and then in 2014 he relocated to Dayton OH to marry Bernice and settle in Dayton OH. Tom, Bernice and daughter Madison presently live in Dayton, Ohio where he currently works as Senior Loss Consultant and National Claims Administrator for Roto-Rooter. Tom is currently teaching beginner classes and calling weekly for many Clubs in conjunction with Advance and C1 workshops in the southern Ohio area. Tom is very well known in the Mid-West. Tom & Bernice enjoy the square dancing activity and the people involved in it. Each has spent 40 years of their lives dedicating their personal time to the promotion and educational values of the Square Dance activity. Their Motto is "SQUARE DANCING IS A FAMILY AFFAIR DANCED WITH HARMONY AND LOVE"